Members of the Oregon Chapter of the Liberal Gun Club met today in Salem with pro-Second Amendment Democratic State Senator Betsy Johnson in her office in the State Capitol Building.Scheduled for 30 minutes, the meeting went so well it lasted over 45 minutes with all leaving on a very upbeat and positive note. Present were the Oregon Chapter President Richard Lidzbarski, the Chapter Vice President Morissa Pawl-Frederico, and Chapter Member Ilya Monastyrsky. 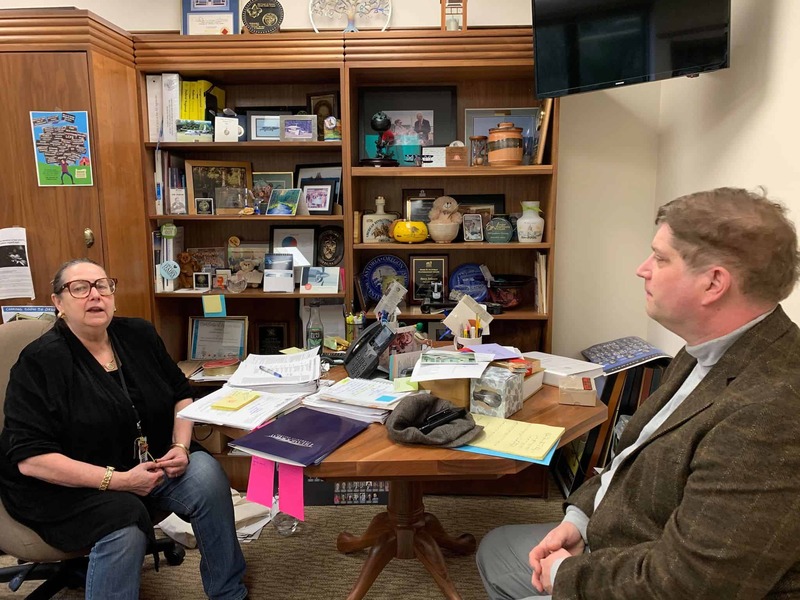 Senator Johnson was generous with her time and methodically went through the list of every state Senator and Representative noting which ones are persuadable and worth approaching and which were not worth the effort. Checks and X’es were put next to each name. The appropriate legislators will be contacted by the Oregon Chapter. She opined on which bills are most and least likely to pass. Some kind of “gun safety” legislation will pass, she thinks, though perhaps not in present form. The now most problematic bill, HB2251, which defines “assault weapons” may or may not pass: Betsy could not make the call yet whether it has the votes. 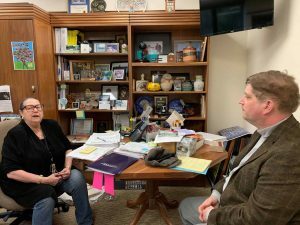 The Senator, when asked, was also open to sponsoring legislation that would permit the state to accept The Liberal Gun Club, in addition to the NRA, as acceptable certification for an Oregon Concealed Handgun License (CHL). At present MA is the only state that recognizes the LGC certification, and we are working to expand that nationally.